MS International’s Monterosa Beige 20 in. x 20 in. 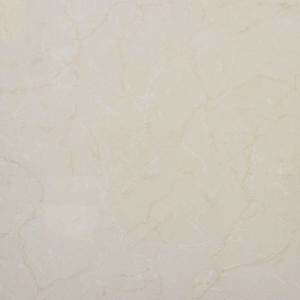 Porcelain Tile is white with warm beige veins, mimicking the look of fine unglazed tile. This large format polished tile complements a broad range of design styles and decors and it’s revered for its versatility and strength. Whether it’s used as flooring, wall tile or countertop tile, Monterosa creates visual interest without overpowering. Plus, it’s easy to care for and resists staining. As durable as it is beautiful, this tile can also be used for some light-duty commercial projects. 19.44 square feet, 7 pieces per case. Case weight is 70 lbs. Buy online MS International Monterosa Beige 20 in. x 20 in. Porcelain Floor and Wall Tile (19.44 sq. ft. / case) NMONBEIGE20X20, leave review and share Your friends.